Considering Working In A Spa? In this Post: Are you considering working in a spa? If so, you should look into these 9 points before committing. 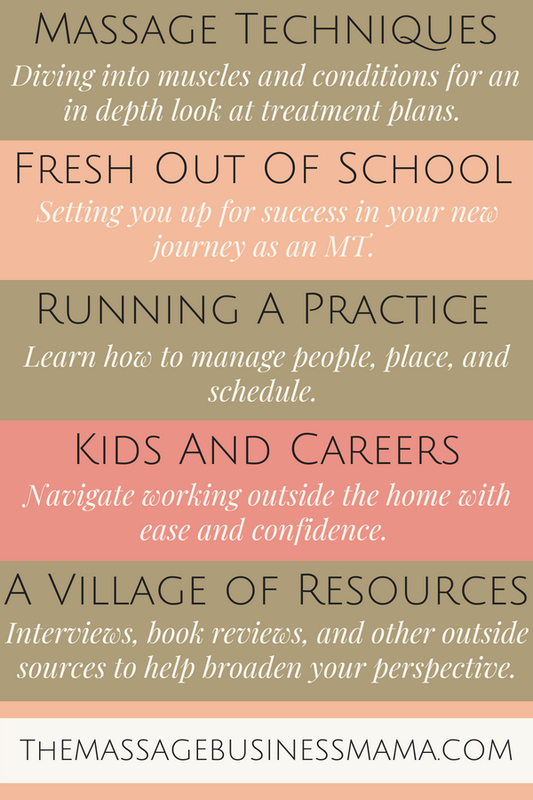 Spas can be a wonderful place to start a massage career. Just make sure to educate yourself, and figure out if the environment fits your needs. So you are considering working in a spa. Maybe you have always known you wanted to work in a spa? Or perhaps the draw to this environment snuck up on you? Possibly an opportunity for spa work conveniently feel in your lap? Whatever it is that brought you to consider a career in the spa environment, there are things to think about before jumping in feet first. When I first graduated from massage school, I already had a job lined up working in a spa. I had interviewed for the position two months prior to graduating. And much to my surprise, I was accepted. This job served me well! For me, I always knew that I wanted to have a practice of my own. I knew I wouldn’t stay in the spa environment forever. But I also knew I needed this type of work, in the beginning, to make ends meet. My time working in the spa environment taught me a lot. It taught me what I wanted and what I wouldn’t stay for in my own practice. It taught me how to interact with clients confidently. And it taught me a lot about the intricacies of running a business. 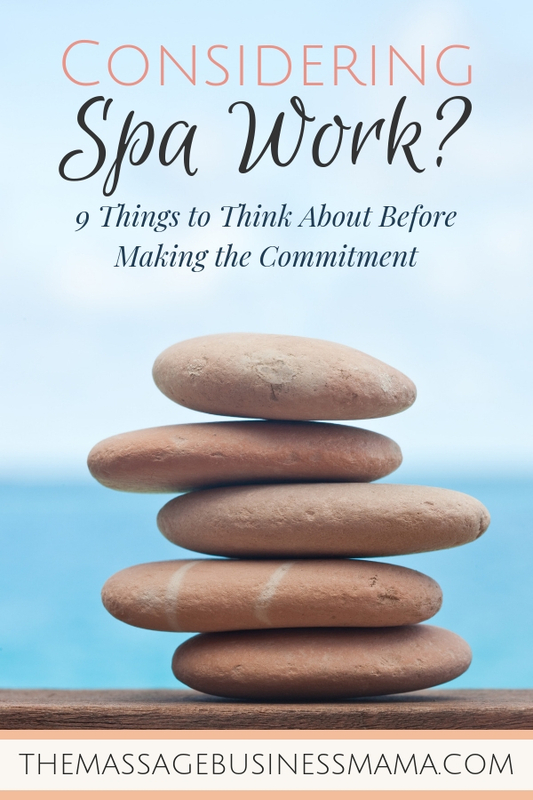 Maybe you are using spa work to supplement your income, increase your hands-on learning skills, and gain confidence regarding client relations before you move on to the type of work you truly want to do. Or maybe you are pretty confident that you always want to work in a spa environment. This is the type of peaceful atmosphere that drew you to become a massage therapist in the first place. Either way, you will want to prepare yourself with a little knowledge before you dive in. When working in a spa environment, you must be okay with doing treatments such as hot stone, hydrotherapy, Vishi showers, herbal wraps, sugar and salt scrubs, and more. These specialized treatments are what draw people to spas. These treatments may seem like more work, with all the setup and cleaning, but in some ways, they can be easier on the body. We had a treatment at the first spa I worked at called an “Herbal Hybernation.” The prep was horrendous for this 75-minute treatment, but we would literally spend 15 minutes of actual hands-on contact with the clients. Most of their time was spent relaxing in a herb-filled tub. You must be okay with seeing a lot of new faces all the time. While there will be some repeat business, spas typically don’t drive the same kind of repeat business other establishments might. Going to a spa is usually viewed as more of a treat, than say if you worked in a chiropractors office. With higher prices and sometimes shorter treatments, people who have serious issues are probably not going to keep coming to a spa week after week for their regular maintenance. Spa’s charge a lot of money, your take of that amount may seem small. Spa’s typically have more overhead than other types of massage practices. So while it may seem like you are being taken advantage of, look at the rate you make compared to other options in your town, as opposed to the actual percentage. A lot of the work you do may feel repetitive! Because people with severe orthopedic issues typically are not going to receive their massage at a spa, you may find yourself doing the same massage on repeat. The same type of clients come in, you are having the same type of conversations, and they want the same type of treatment. For as peaceful as spas may seem, the behind the scenes can often be a frantic pace. You may be booked with 5, 50-minute massages with ten minutes between each session. This leaves little time to pee, drink water, or shovel a few almonds in your mouth. What could be better than working in a beautiful, serene environment? Fountains flowing, tea brewing, and bathrobes galore. You aren’t going to find this level of Zen if you choose to work out of your own home! If you choose to work in a spa, you typically will have set hours that you are scheduled. You may be on-call, where you get called in for massage as needed. Or you may have to be present on sight in case work does or does not come in. Either way, you know your hours. You have a clear start and end time to your day. When working in private practice, these boundaries are usually blown out of the water. Okay, so some of you may hate me for calling it mindless. You may say, I stay present for each and every session I perform. And this is not what I mean by mindless. What I mean is a little different. Because so often you are seeing clients for the first time in a spa environment, you don’t have to remember their spouse’s name, which knee they recently had surgery on, or the fact that their beloved dog died two months ago. Because people typically come to a spa with relaxation as their main objective, you don’t have to concentrate on involved AROM techniques, or stubborn trigger point patterns. Omitting all of these details can free your mind to bliss out and give a great treatment! Another thing to consider is if you are going through any personal hardships, you may want to work in an environment that doesn’t take as much mental stimulation. This break from the demands of your own struggles could be just the kind of peace your mind needs to function in a healthy manner. Two months after I graduated from massage school, my brother took his own life. My mind was a mess. If I had had to refer to detailed SOAP notes and try to devise treatment plans at that point, I think I would have lost it! Having a respite from anything that required mental concentration was a much-needed blessing. I was still able to give great treatments because I was able to lose myself in the flowing dance of ‘mindless’ massage. Whether spa work is your true calling, or you are using it as a springboard for something more, this type of work can be a rewarding part of your massage journey. Some of my best massage friends, I made working in spa environments. Working together to flip a room in 20 seconds can be an immensely bonding experience!